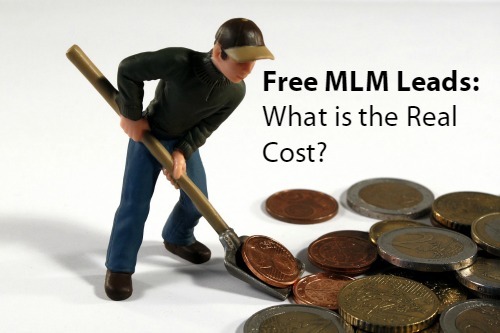 Home > Network Marketing > Free MLM Leads: What is the Real Cost? You see Free MLM leads are advertised everywhere online, but can you really get network marketing leads for free? Are they even worth all the time and effort? In this article, you’ll learn the about the true hidden cost of free MLM leads. This information will surprise you to the facts about top earners and getting leads for your business. What Do FREE MLM Leads Really Cost? There are only 2 types of free MLM leads. Those that people refer to you. There is a cost for each type as you’ll see when you dig deeper. Have you ever been hoodwinked into watching a video in exchange for 50 free leads? Or, one time, I was offered 100 free leads if I joined this guaranteed lead generating system for no money down. There is no money out of your pocket for this type of free MLM leads. And you may think, Cool! Think about this: are they really worth your time and effort? Your time is valuable and you should spend it wisely. These type of free network marketing leads are very difficult to close. They have no clue why I am calling. They don’t remember requesting anything online. They deny ever having an interest in starting a business. Maybe they wanted something for free and entered their name on the Internet. However they got on that list, I have spent hours of wasted time calling over 100 free MLM leads only to get nowhere at all. Maybe there is one viable prospect but that’s it. Seriously, I learned my lesson pretty quick that these type of “free” network marketing leads are simply not worth my time. So what can you do? Attraction marketing works much better than the aforementioned method for getting leads for your business. Even though they seem “free” there is still a cost associated with these leads. But it’s so worth it! You’ll definitely put time into this and invest some money. This is a business after all and you do have to put something into it, right? Here’s what I mean. You can generate free leads online through marketing methods like video, social media and blogging. They all work. Let’s talk about blogging. If you create blog content, you can literally generate a steady flow of leads as long as your blog is on the Internet (forever.) 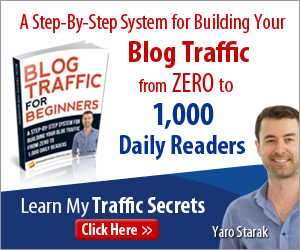 I still get new leads, customers and business partners from blog content I wrote 6 years ago. Content marketing is the most powerful method to get free MLM leads and of course, it takes time and some investment. When I consider all the leads I called who had no clue who I was or why I was calling, I can just kick myself! With attraction marketing, prospects found me online through blog posts or video and already have developed a rapport with me. If I contact them, they already know who I am. The ensuing conversation is much more successful. 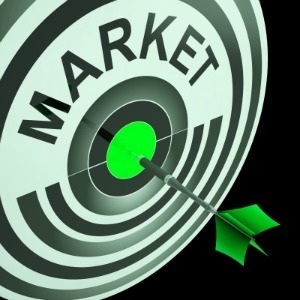 Are There Hidden Costs with Online Marketing? Sure there are – it depends on how you plan to promote you and your business. If you are a busy person, how much time do you have to write blog content or make videos? That is one way you can generate free leads. Or, you can learn how to use online tools to automate as much marketing as possible to get laser-targeted leads. Laser-targeted leads are high-quality leads for your business. These type of leads can be worth $6 or $7. 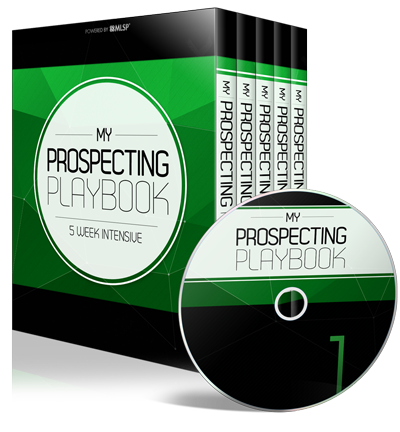 What if you were to invest $800 to get 800 leads? Now your cost per lead goes down to just $1 each. That means that you are paying $1 for a lead that’s worth much more! Here’s what I love about learning how to generate leads for free. I chose to put in the time and invest to learn about marketing online. By writing blog content and creating videos, I was able to build an incredible business online that brings me new leads and customers each day. Would you like to have more time to do the things you love in life? Me too! And I was able to accomplish that four years ago. I remember when I first started blogging. I had no idea what I was doing. It was a painful process of hit or miss to learn what worked. I finally got smart and invested in a turnkey system with the training and tools to generate free MLM leads. You can check out the same system I use here! Let me be upfront with you. It does cost money. But would you rather learn from the experts and have tools at your fingertips than continue to struggle with online leads generation? If you want to grow your business online and learn how to market like a pro, start thinking like a successful six- or seven figure earner. Invest in yourself. Learn how attraction marketing can change your business and your life. Being cheap is keeping you broke. People who invest in themselves and their business are usually the ones making all the money because they learned how! They also worked on creating a mindset for success. Check out this system that works! Imagine if your entire life changed because of it? You’ll never know unless you check it out. Was this article about free MLM leads helpful to you? Click here to learn more now about how to generate free MLM leads through this 5-step profit blueprint.